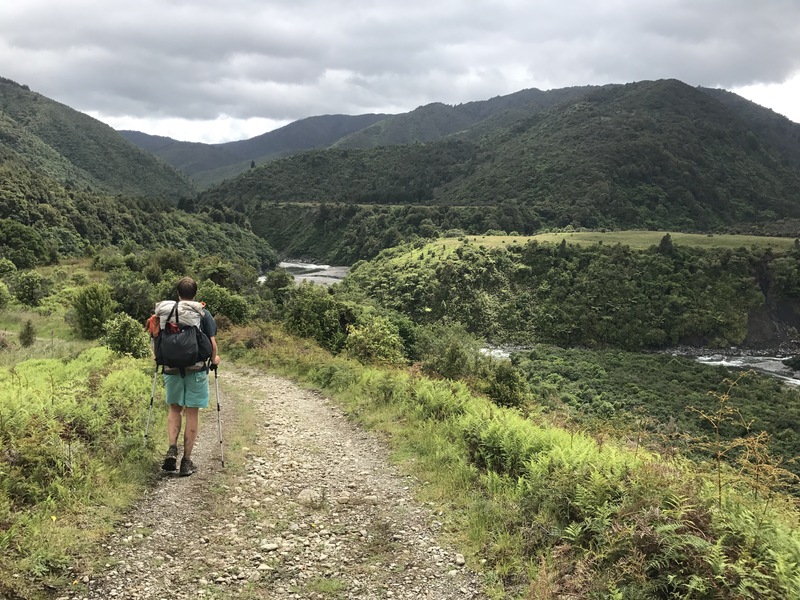 After a rejuvenating rest day at the hut yesterday, we bounded out of bed at 7 this morning ready to boost to the next hut, at the very end of the Tararua section. The morning looked to be wet and chilly but after a couple OSMs and half an hour we set off. Wet indeed the morning was, and got wetter as walked; the mist accelerated to a drizzle and combined with the water resting on the plants from overnight and the rushing water in the ruts of the track to make sure we were thoroughly soaked by an hour or so in. Up and down the rooty muddy trail we trudged, gradually climbing up to our 500ish meter high point and then descending to where a new track had been put in in 2014 to avoid an area with a bunch of landslides along a stream. 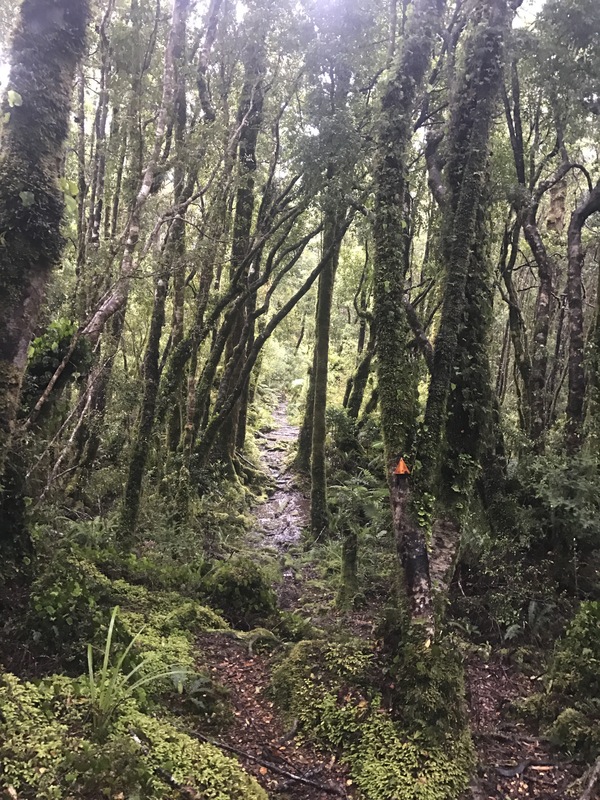 This new track was honestly pretty dreadful and we were overjoyed when we reached a junction with a flat and wide old logging tramway, which had some old rails still in the ground in places. 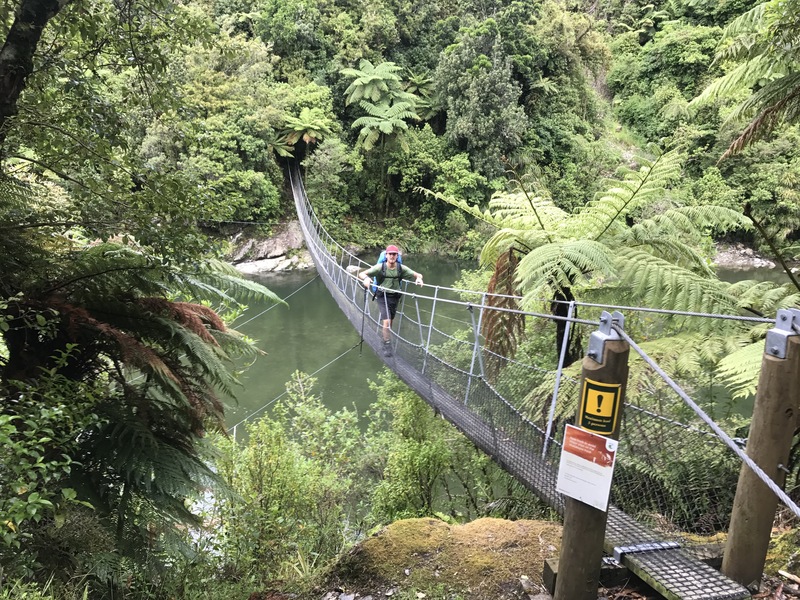 We eventually reached the Otaki swingbridge and entered a wide valley area with huge grass flats along and above the mighty river – meadow grasses and foxgloves and the foothills sloping up all around us were a welcome and quite nice change of scenery from the dense low-altitude forest. 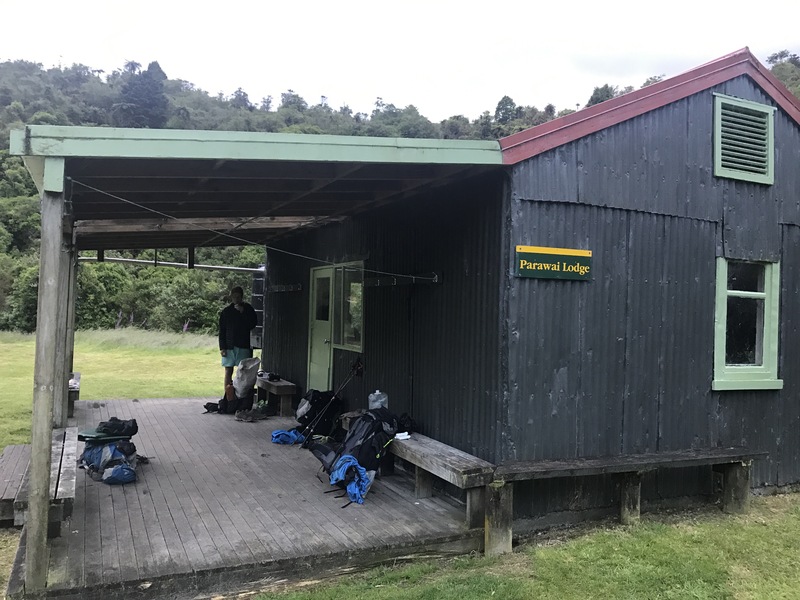 Just past the Otaki Forks picnic area is the Parawai Hut (old, tin, drafty), where we arrived at midday and exploded our stuff out to dry in the weak sun. Just as we were wrapping up lunch we were joined by three Wellingtonites and four children belonging to them in some arrangement, who planned to stay the night. As they made themselves at home in the hut (they had planned to go a hut further into the mountains but the rainy forecast deterred them) we had a wonderful cozy nap in our loft bunk and played some hearts somewhere in the mix until dinnertime. We cooked some spaghetti (as did the other two thru-hikers who had arrived by now, Nigel from Australia and Pascal from Germany) as our mouths watered at what the overnighters had brought to eat, and after dinner some Jenga was played with the kids and they offered us some of their cheesecake, to which we gladly obliged. Tucked in again in our loft, we are getting to sleep at about 9:30 and are ready to wake up at 6 tomorrow morning (Christmas Eve!) for our 25 km walk into the coastal village of Waikanae. Getting excited for Christmas and three days of coastal walking into Welly! 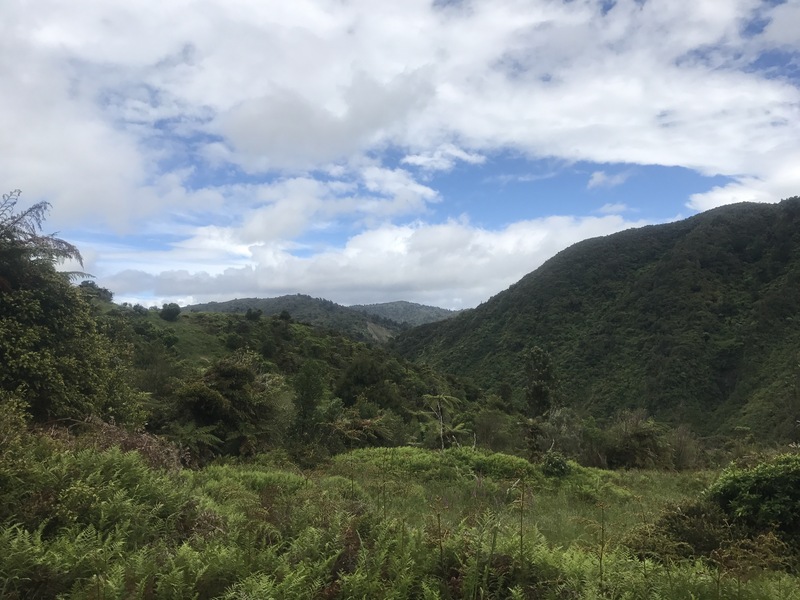 Previous Previous post: Day 65 – Waitewaewae Hut Zero Day!